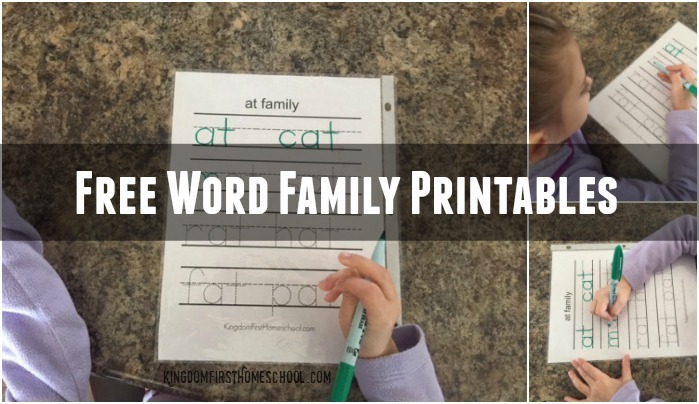 Looking for some free word family printables? Well, you’re are in luck. I have been behind the scenes working on some freebies for you! I ❤ printables! 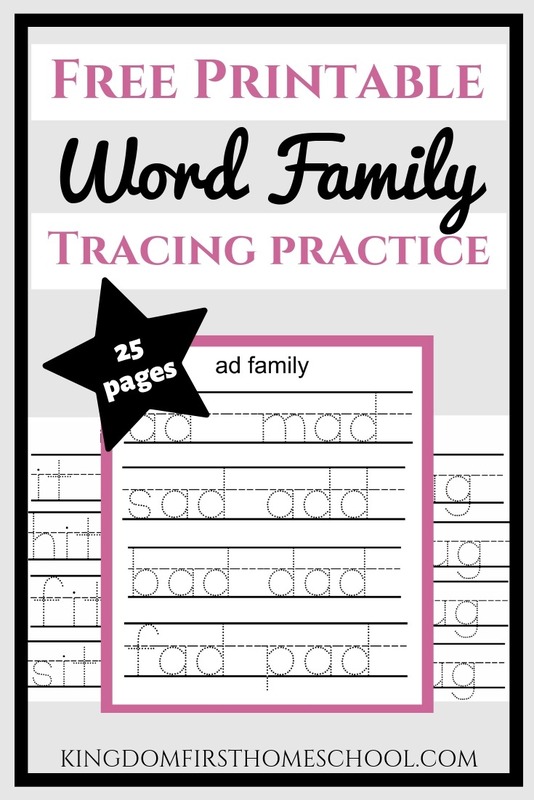 My youngest daughter has been learning to read, so I made her some word family printables to go along with her Hooked on Phonics Book. I like to give her a few different types of activities to help it sink in and also to keep it interesting. As most kids in kindergarten, she tends to get bored with doing things the same all the time, so it has kept me on my toes. The last thing I want is for her to lose interest…eek! That is definitely not an option! We have been having fun and keeping it easy breezy! I rushed my middle child because my oldest was reading super early, I mean early, like 3-4 years old. She was basically self taught. She just couldn’t get enough. So I just thought that was the norm. 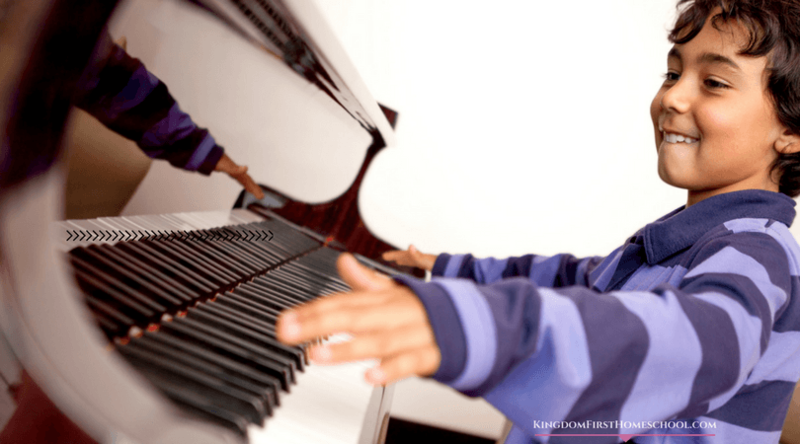 My middle child wasn’t ready until 6-7 years old. Oops, I kinda messed that one up. But, you will be all glad to know that even though she didn’t get it until later, she is growing leaps and bounds every day and is within to above the average reading level for her age. Anyway, I’ve decided, with my baby, to take it easy and let her lead for the most part. 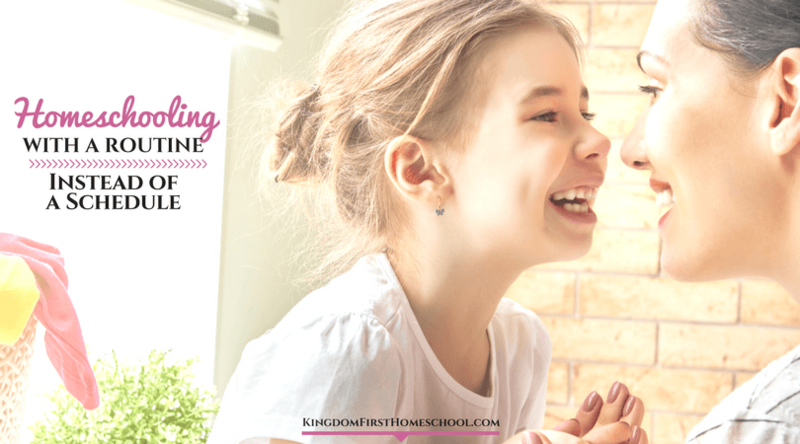 Along with the Hooked on Phonics, I use The Reading Lesson and The Reading Game, which I did a review on this when I used it with my middle daughter. Also we do what is called “beautiful words”, which was inspired by Leah Boden in one of her wonderful Charlotte Mason Show periscopes. I read to her, telling her to listen to the story for her favorite or “beautiful word”. (She loves this) After we are finished she colors a word picture. Every day that we do this I go through all the words and she knows them every time. 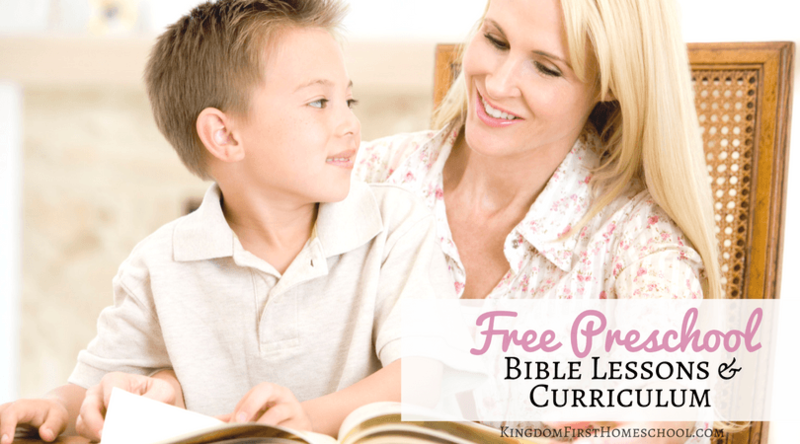 Don’t forget to pin this post for your friends, so they can get some free word family printables too. I love this Forest!! I’m going to start doing the beautiful words with my kids this week. 🙂 And we are going to use your printable too! YAY!! We do the Hooked on Phonics app on iPad and love it. 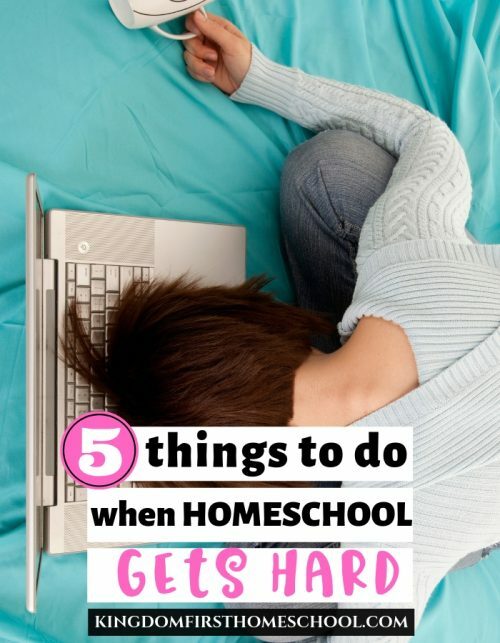 Ana Willis recently posted…Homeschooling Makes Us Happier! Yay! I have used and love HOP for 7 years. The app is wonderful too! 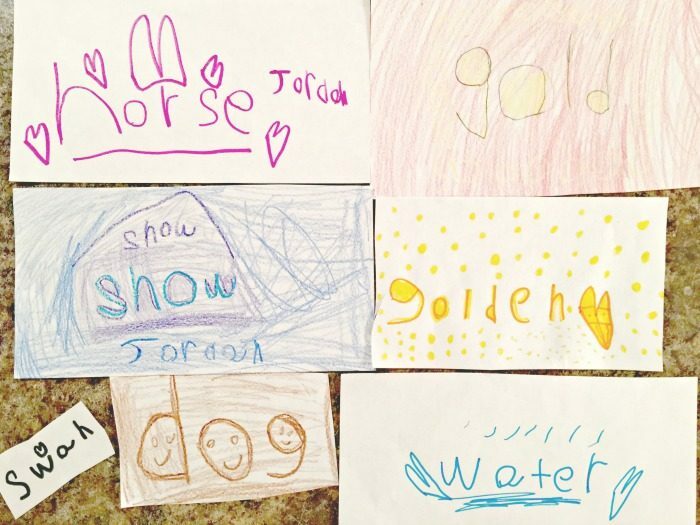 Leah is so great…We have been rocking the beautiful words. Adorable. I bet my kids would want to get their hands on these printables.. I hope your kiddos love them Becky! Thank God for all your hard work! 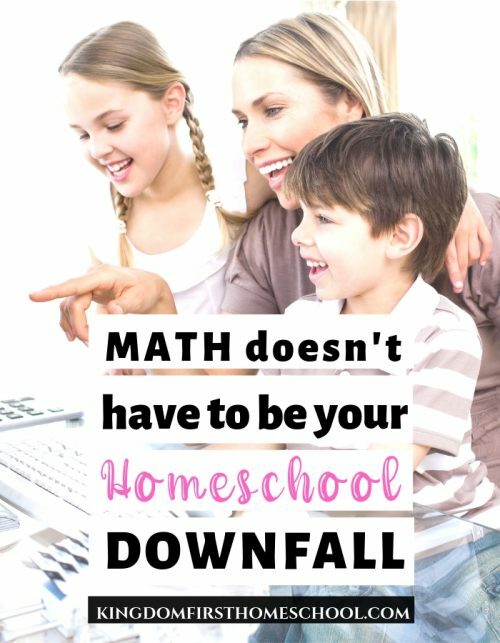 I too am homeschooling my 5 year old son (first timers), mother of 3 boys. Websites like yours are so encouraging especially sharing the thoughts for sowing God into our children. If no one ever tells you thank you, I want to let you know I am thankful and will be using these free printables. So thankful you can use these Shawntelle! Thanks for the compliment, you are too kind.